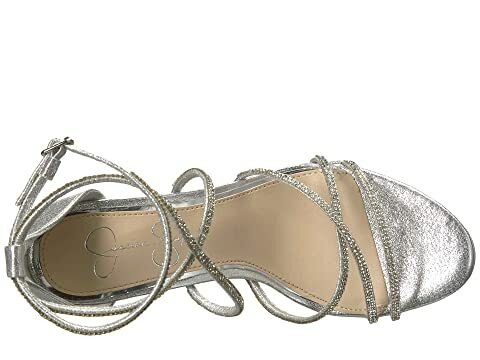 Make your night shine even brighter in the Jessica Simpson® Jaeya heels. 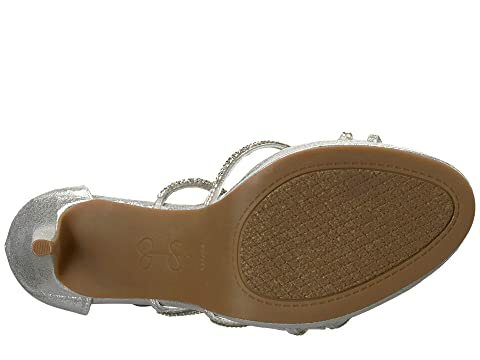 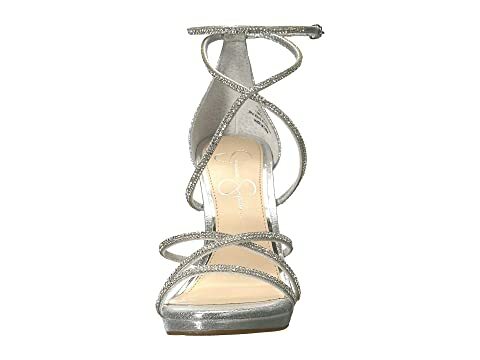 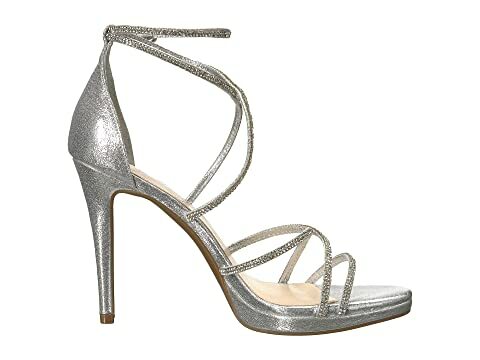 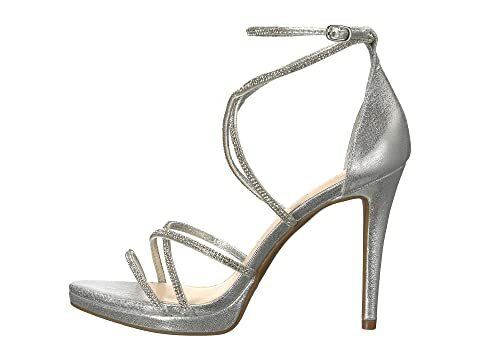 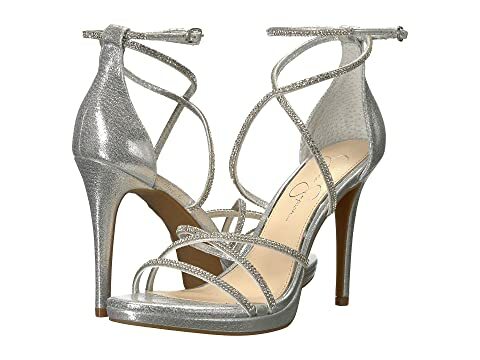 Heeled sandals feature a strappy, metallic textile upper with crystal detailing. 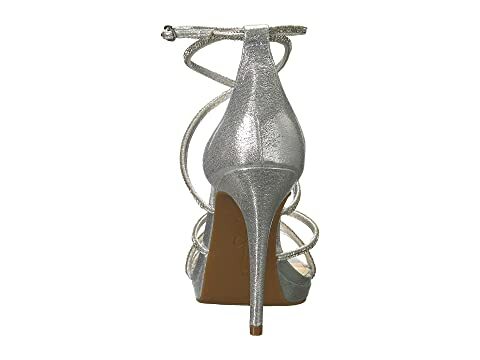 Wrapped stiletto heel and platform.